Health Professions Press, 9781878812353, 250pp. Join thousands of caregivers who are adopting this groundbreaking and uplifting method for the care of people with Alzheimer's disease. This comprehensive program builds on the essential elements of friendship: respect, empathy, support, trust, humor. They're the building blocks of a care model that's both effective and flexible enough to adapt to each person's remaining strengths and abilities. It's easy. It's natural. It works. Learn how to ensure the highest quality of life for people with Alzheimer's disease, not just by preventing catastrophic episodes but by making every day consistently reassuring, enjoyable, and secure. 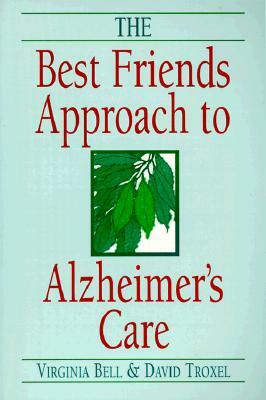 This revised edition includes new material such as an updated and expanded resource list, updated biographies of Best Friends featured in the book, and a new Preface from Virginia Bell and David Troxel. Best FriendsTM--for the best care.